Bucketfeet is Made to Stand Out. 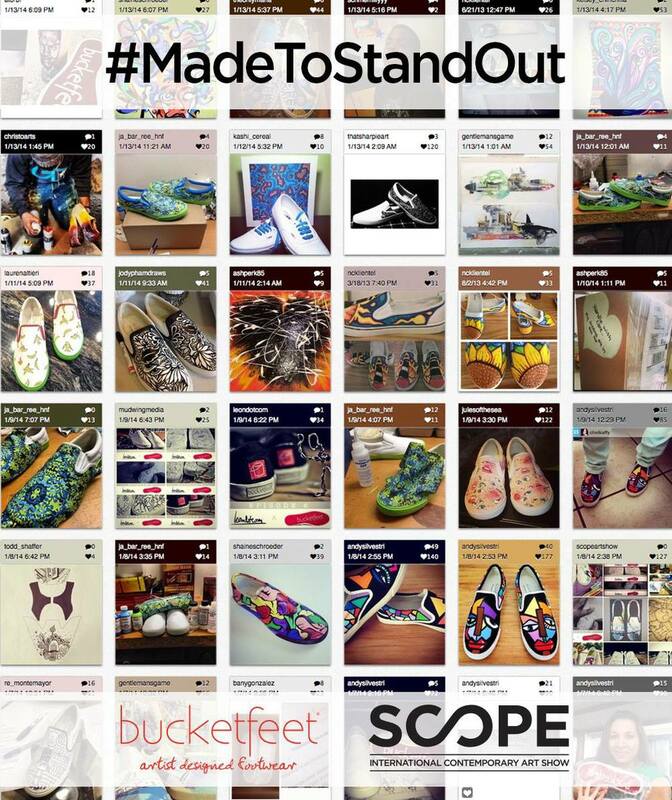 As I mentioned last month, I was chosen by Bucketfeet as one of fifty finalists to design a pair of shoes for their Made to Stand Out competition. The winner will show their designs at SCOPE NYC and Miami this year, as well as win a coveted shoe contract! 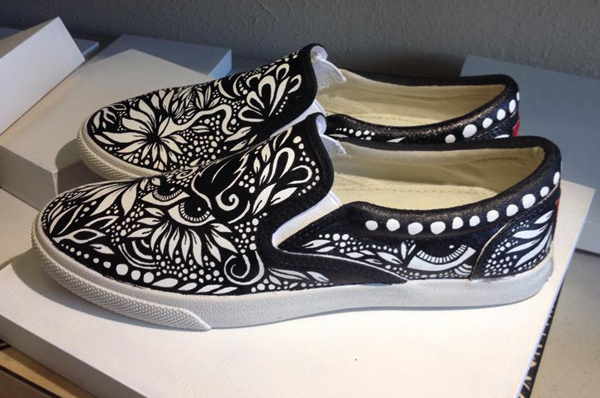 I've always wanted to doodle on a pair of shoes, but had never gotten around to it. I'm so pleased that my first experience doing so is with Bucketfeet, as they are dedicated to helping talented artists get the global exposure they deserve. To accomplish this, they feature a different artist's design on every shoe they offer, not only inspiring conversations and interaction, but creating something that is both functional and the epitome of unique. As you have seen with my collaboration with Cykochik handbags, I absolutely adore the concept of portable art! 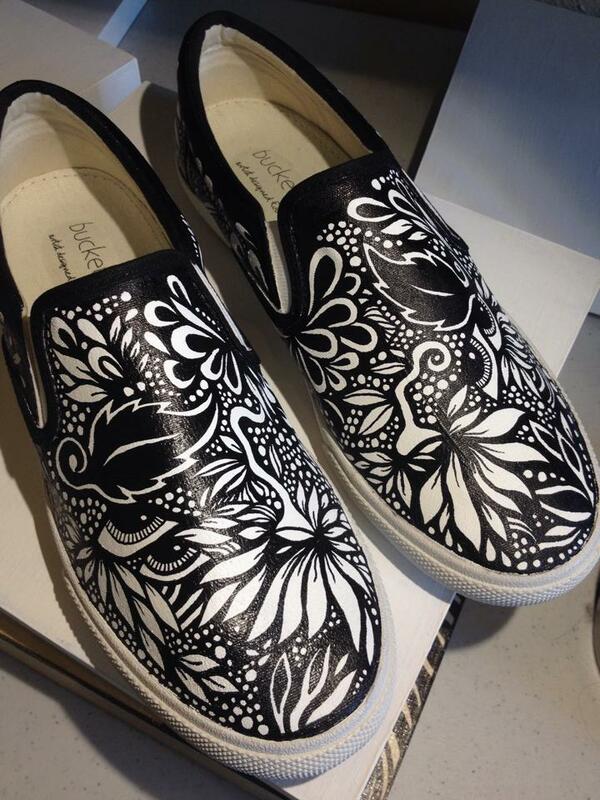 I think Bucketfeet executes this perfectly! Now here is where you come in! Today voting began, and will be open through 2/12/2014. Once you complete registration (it takes mere seconds, I promise!) you can vote here for your favorite three once per day. 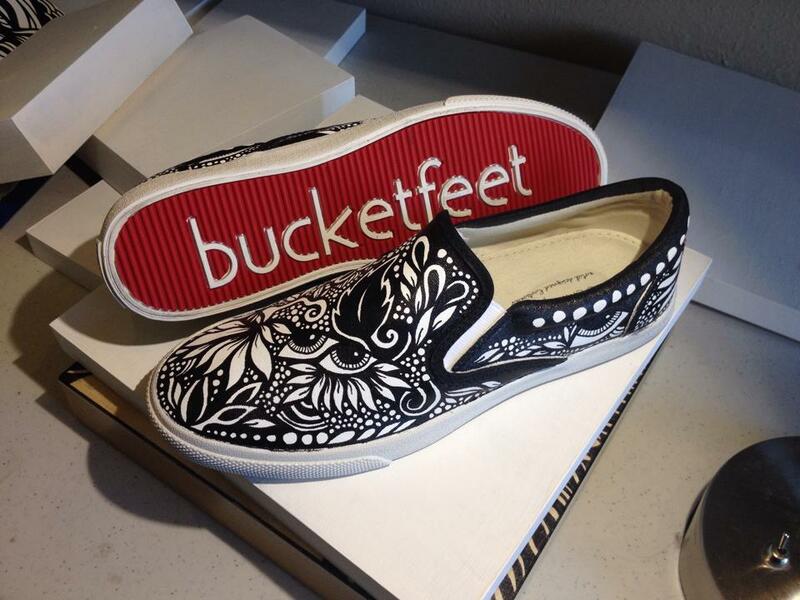 As an added bonus, for each day you participate, you are entered for a chance to get a free pair of Bucketfeet shoes! Once registered, just find my design "Night Flora", and click VOTE below the image! If you'd like (gentle) daily reminders to vote, you can follow my Facebook art page to stay updated on my progress, as well as see previews of new work, promotions, and shows. It's been a dream to be chosen to collaborate with Bucketfeet, and I look forward to seeing where the competition takes me. Thank you for taking the time to read this, and for your support in this competition!